This set contains 4 pieces NACHTMANN Noblesse Longdrink glasses. 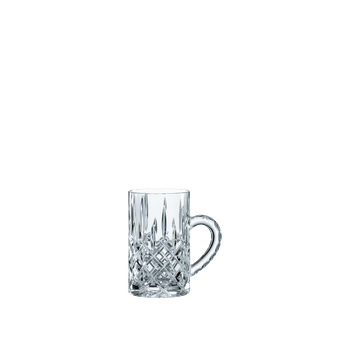 The luxurious and graceful machine-made longdrink glass of the cut decorated glass collection Noblesse brings glamour and a touch of luxury to every home. The longdrink glass is ideal to enjoy longdrinks, as well as mixdrinks or nonalcoholic beverages. NACHTMANN Noblesse is made of the finest crystal glass and celebrates the revival of classic cut design. As all NACHTMANN crystal this item is dishwasher safe.